Die Springs - Danly & Lamina Brands you Can Trust. Whether it is carbide, high-speed, cobalt, burrs, or otherwise - we’ve got you covered. We have a wide range of products of any size, coating, and for any job you may have. Click to contact our sales staff for a quote for your tool steel or die component order. 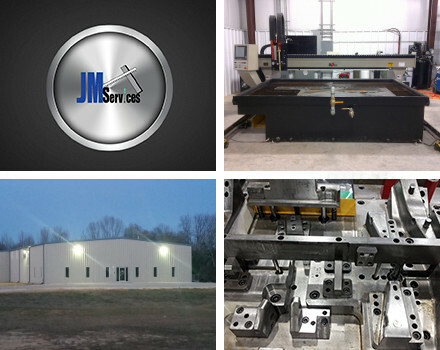 J & M Services was founded on the experience of individuals who have over 30 years' experience in the manufacturing and stamping industry. As knowledgeable and skilled experts in the Tool Steel & Die Component business, you can expect a high level of service, problem solving and new product introduction. Our partnership with Anchor Lamina of America and Dadco allows us to further strengthen our commitment to the Toolmaker, Die builders and the Metal Stamping industry. Founded in 2010 - We have quickly become a favorite among Tool & Die Builders, Stamping operations, Stamping Manufacturing and Machine shops. We currently stock various grades of Tool Steel and other metals. In addition we offer a full product line of die components and miscellaneous industry product items: Gas springs, HTC Cutting Tools, Stamping fluids, Heat wrap, flat ground, shim stock etc. Same Day Shipping on in stock items!! !